Migration is high on the European agenda. 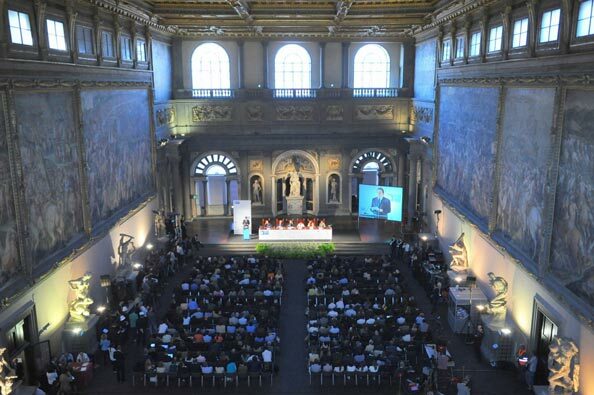 It was at the core of the 2013 State of the Union Conference, an event for reflection on the European Union, organised 9 May 2013 by the European University Institute (EUI) in Florence. The event brought together almost 600 leading academics, policy-makers, civil society representatives, as well as business and opinion leaders. Within this framework, thanks to its thorough expertise, the MPC contributed to the organisation of the sessions dedicated to migration and guided debates on crucial issues for the future of Europe. Plenary session on Immigration and Citizenship. “Immigration and Citizenship” was the topic of the afternoon plenary session. Philippe Fargues, Director of the MPC, welcomed around the table Alain Frachon, Editor in chief of Le Monde, Giuliano Amato, former Italian prime minister, president of Sant’Anna School of Advanced Studies of Pisa, Cécile Kyenge, Italian minister of international cooperation and integration, Cecilia Malmström, European commissioner for home affairs and Anna Terrón Cusí, Spain’s former secretary of state for immigration and emigration, special adviser to EU Commissioner Cecilia Malmström on migration and mobility issues. The debates showed how, with the economic crisis, the dynamics of migration in the EU has changed and how migration has become a source of concern and fear. However, the EU will need migration to tackle its demographic and economic challenges. Discussants called for a more open and more attractive Europe with a well-managed migration policy. They also insisted on the fact that migration issues should be discussed at the EU level and not only at the member state level. Migration and the future of Europe’s demography and economy: Is demography a threat to Europe’s future weight in world affairs? Should immigrants be seen as an additional burden or as an asset under these circumstances? Should EU Member States apply the principle of European preference or, promote innovation and competitiveness, seeking out highly-skilled immigrants from third countries? Would low- or mid-skilled immigration bring a suitable response to the massive outsourcing of labour to low-wage countries, and eventually foster employment in Europe? Migration, identity and integration: Does migration challenge a receiving society’s identity or do appropriate policies allow integration and social cohesion? Is Islam being integrated in Europe? Will Europe continue to progress towards granting citizen-like rights to migrants, including political rights? Is increased xenophobia in Europe caused by rising numbers of immigrants or by rising economic anxiety? The future of EU citizenship and free movement: Has the EU citizenship project failed in its efforts to increase support for European integration and the mobility of EU citizens? What are the benefits of EU citizenship for those who do not move? Is there a growing gap in rights and political attitudes between mobile and immobile Europeans? Will economic and political crises lead to border closures and greater resistance to free movement rights among member states? Is there a need for common standards of access to EU citizenship? For more information, the outlines of the four sessions of the conference dedicated to migration can be consulted here. In particular, two questions of high interest for the EU labour markets were addressed: “Is Immigration a Response to Ageing?” and “Is Immigration Spurring Innovation?”. On the issue of ageing, a set of projections were set forth to establish the magnitude of the demographic shift from younger to older age groups within the active population and the resulting ageing of skills. A clear outcome was the need for migration to act as an important complementary tool as part of wider responses to future labour force. Based on current trends old age dependencies and pension contributions will continue to become a more significant issue for future generations. The discussions on innovation highlighted the potential impact migrants can have upon innovative practices within EU Member States. In particular, positive associations were shown between diversity of origins and productivity in 195 countries. These trends were especially strong for college-educated migrants in more productive countries. A very positive correlation was also found between highly-skilled migrants and innovation: migrants tend to favour and spur innovation, as more and more are registering patents. Finally, at sector level migrants are particularly relevant in spurring innovation, measured by patent production, because they tend to be young and highly-educated, both in high and low tech industries. The overall conclusion was that host economies benefit from immigration and migration policies and should, consequently, be more open. On the basis of the research findings of the 2012-2013 academic year, the MPC is preparing policy recommendations for policy-makers. The means of communication revolution, virtual as well as physical, is continually making the world smaller and people more mobile and more interconnected. Yet international migration has not become truly global. When people leave their familiar environment to establish themselves in another country, distance continues to matter to them. The closer to home they end up the better, as far as they are concerned. Indeed, a large part of international migration takes place within, rather than between geographic regions. This statement of fact is at the base of the EU Neighbourhood Migration Report 2013 published by the MPC. EU neighbourhood countries do not recognise themselves as one region. They have nothing in common apart from the one simple fact that they share a land or a sea border or a near border with the EU. They differ from each other in almost every way and particularly in terms of the drivers of international migration. However, if the EU’s neighbouring countries have something in common, it is that they are net senders of migrants to the European Union. What are the levels and trends of migration in countries at the external border of the European Union (EU) and how much of this migration is destined for, and how much originates in the EU? How do States in the EU neighbourhood legislate on immigration and emigration and how does outward and inward migration impact their policymaking? These are the main questions that the EU Neighbourhood Migration 2013 report addresses. 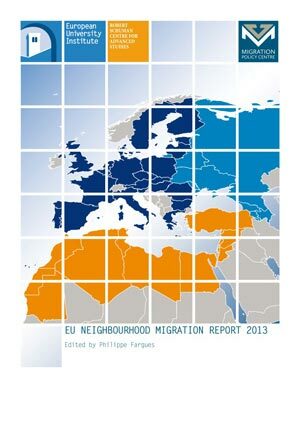 Building on the research conducted by the MPC, thanks to an extensive experts’ network, the report covers migration in 18 EU neighbouring countries, including: Algeria; Armenia; Azerbaijan; Belarus; Egypt; Georgia; Jordan; Lebanon; Libya; Mauritania; Moldova; Morocco; Palestine; Russia; Syria; Tunisia; Turkey and Ukraine. Each country report provides the most recent update on the demographic, legal, and socio-political aspects of both inward and outward migration stocks and flows. It thus forms an unprecedented data collection for migration stakeholders. Please note that Migration Profiles and Factsheets can also be individually consulted here. The whole report will soon be available as an e-book (e-pub) on the MPC website. The MPC has started to work on a new research project on “Researching third country nationals’ integration as a three-way process. Immigrants, countries of emigration and countries of immigration as actors of integration.”(INTERACT). Co-financed by the European Union and implemented in partnership with the Migration Policy Institute (MPI), the Université de Liège (CEDEM) and the Universitat Pompeu Fabra (UPF), the INTERACT project aims at building on existing research to investigate the impact of origin countries on the integration of migrants in host countries. Policy-making on integration is, indeed, commonly regarded as primarily a matter of concern for the receiving state, with general disregard for the role of the sending state. However, migrants belong to two places: first, where they come and second, where they now live. While integration takes place in the latter, migrants maintain a variety of links with the former. New means of communication facilitating contact between migrants and their homes, globalisation bringing greater cultural diversity to host countries, and nation-building in source countries seeing expatriate nationals as a strategic resource, have all transformed the way migrants interact with their home country. INTERACT looks at the ways governments and non-governmental institutions in origin countries, including the media, make transnational bonds a reality, and have developed tools that operate economically (to boost financial transfers and investments); culturally (to maintain or revive cultural heritage); politically (to expand the constituency); and legally (to support their rights). It will, in particular, explore several important questions: To what extent do policies pursued by EU member states to integrate immigrants, and policies pursued by governments and non-state actors in origin countries regarding expatriates, complement or contradict each other? What effective contribution do they make to the successful integration of migrants and what obstacles do they put in their way? The INTERACT project held its Kick-off Meeting simultaneously with a Brainstorming Session at the European University Institute (Florence) on 13 and 14 March 2013. During the meeting, nine research topics of the project were discussed: education, language, religion, social interaction, labour market outcomes, political participation, access to nationality, civic participation and residential integration. Position papers on these topics prepared by scholars will form the basis of the INTERACT methodology. The INTERACT team has already built an extensive correspondent network of more than 80 experts carrying out research in EU and non-EU countries. Thanks to this thorough research, the INTERACT team will produce research publications and create a unique database, which you will be able to consult on the INTERACT website. The CARIM-East (Consortium for Applied Research on International Migration-East) team has recently published a series of Explanatory notes on “Trafficking In The Human Beings”. It appears that the CIS countries, due to their particular geographical location, have become a transit corridor for human trafficking between Asia and Europe. According to the estimates of the leading Russian researchers in human trafficking, approximately 175,000 women are trafficked outside the region using various schemes. Russia accounts for 20-30% of this flow, that is, at least several tens of thousands of people each year. These estimates do not take into account human trafficking in men and women within the CIS region and large-scale flows of migrants that are moved for labour and sexual exploitation between CIS countries. The governments in the region often underestimate this problem. But human trafficking has attracted the attention of international actors, both states (such as the USA, the UK and Japan) and intergovernmental organisations (the EU, OSCE, UNODC, IOM, etc.). This international activity has been expanding over time in most countries of the region, with the clear exception of Russia, where the number of internationally-sponsored projects has diminished in recent years. The Russian Government has repeatedly emphasized that Russia does not need international donor assistance. Indeed, on the contrary, Russia is itself willing to contribute to various international projects targeting human trafficking and related issues in other countries of the world. The EU is one of the biggest donors for projects that focus on the fight against human trafficking in the region. The European Commission has financed the biggest externally-sponsored project (around 4.5 million Euro for three years) in Russia in 2006-2009. Other EU initiatives have included anti-trafficking components in such complex programmes as BOMCA and CADAP, which have been underway in Central Asia since 2003 or projects “developing comprehensive anti-trafficking response in Armenia, Azerbaijan and Georgia” in 2006-2009. EU funding aimed at the promotion of anti-trafficking action in the region usually comes under the umbrella of the fight against organised crime. But it is also relevant to development aid and the promotion of human security, including orderly migration. All CARIM-East publications are available here. 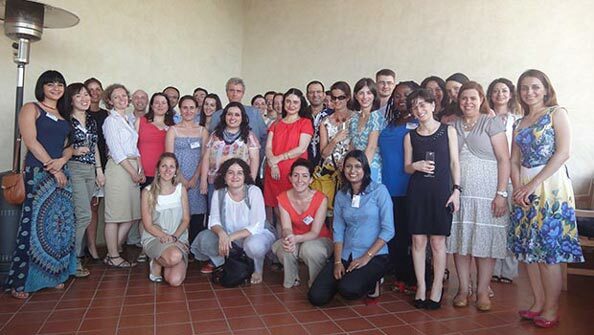 The CARIM-East Thematic Session on Migration and Development in Carim East countries was held in Florence, 2-3 July. It was dedicated to the presentation of the research results on various aspects of the impact of migration on development in countries of origin. Participants discussed a range of topics and looked at comparative outcomes across countries. The CARIM-East team, in collaboration with the Centre of Migration Research (CMR), based at the University of Warsaw, organized five training programmes for civil-society representatives and journalists in Baku, Tbilisi, Yerevan, Chisinau and Minsk. The main agenda was the presentation of the CARIM-East database including targeted presentations of the research results for each country. The next training programme will be held in Kiev, October 2013. The CARIM-East team participated in the meeting of the Eastern Partnership Panel on migration and asylum, held 20-21 March 2013, in Tbilisi. The key topic of discussion was return and readmission and the CARIM-East team delivered background notes on return, readmission and reintegration. The MPC has contributed to the last two meetings (on “circular migration” and “return, readmission and reintegration”) by providing theme-specific explanatory notes written by our country correspondents. The MPC also presented, during the meetings, the synthesis reports written by the CARIM-East team. The CARIM-India project (Consortium for Applied Research on International Migration-India) would like to highlight two very interesting research findings, from its case studies in France and the UK. There was, first, a survey of highly-skilled/knowledge workers and students in France: “Indians in France: an increasingly diverse population” knowledge workers and students in France: “Indians in France: an increasingly diverse population” by Leonard Williams. The study revealed that a significant proportion of respondents intend on staying in France longer than they had first planned and some now hope to settle permanently. They came to France motivated by a desire to gain international experience and to improve their career opportunities. The greatest problem encountered by Indian nationals in France relates to visas and residence permits. Over half of all respondents indicated that applying for their carte de séjour was a very stressful experience. Other problems identified include difficulties with opening a bank account. Overall, most respondents agreed that their experience in France was positive and that they would recommend the country to an Indian friend. In the UK, according to the survey, “Indian diversity in the UK: an overview of a complex and varied population” by Leonard Williams, it transpired that a certain sub-group of the Indian population, Gujarati Indians who migrated to the UK from East Africa beginning in the 1960s, present very different socio-economic characteristics from the rest of the UK Indian community. “African Asians”, as they are known in the UK, are more likely to be highly-educated, middle class, and have a much higher female labour force participation rate. African Asian women actually worked full time more than any other group of women in the UK, including white women. Many East African Indians held high-level positions or were businessmen in Uganda, Tanzania and Kenya, and they used this economic and social capital to recreate their previous high status in East Africa in the UK. All this was achieved despite arriving, in many cases, with very few resources (due to the Africanisation policies at the time). The CARIM-India project is currently preparing for its final conference at the end of October in New Dehli, where research results from all partners over the two-year period will be presented. The conference programme will have six sessions, on topics ranging from preventing irregular migration to the migration of health workers. The dissemination of our research findings and policy recommendations will reach a mixed academic/policy audience from India and Europe. Integration Conditions – Conducive to a European Integration Policy or an Obstacle for Mobility to the EU? Finally, the legal database has been updated with information on India-EU migration, mobility partnerships, EU readmission and visa facilitation agreements, and proposed legislation that is relevant for Indian nationals. The CARIM-India project is co-financed by the European Union. Chinese Investment Strategies and Migration: Does Diaspora Matter? The EU’s external governance of Justice and Home Aff airs (JHA): have Moldova’s policy eff orts to curb illegal migration been successful? The KNOW RESET project, which has been carried out by the MPC at the EUI in partnership with ECRE since 1September 2011, held its final conference on 10 July 2013 in Brussels. The conference, which marked the end of the project, debated recent developments in refugee resettlement in the EU with regards to the findings of the project presented by the MPC/EUI and ECRE teams. The conference gathered representatives from the European Commission, the European Parliament, UNHCR, EASO and IOM. There were also government representatives from countries with different levels of commitment to refugee resettlement (Bulgaria, Belgium, Sweden, Czech Republic and the Netherlands) as well as leading NGOs in the area (The Churches’ Commission for Migrations in Europe (CCME), ICMC, the Asociación Comisión Católica Española de Migración (ACCEM) and the Finnish Red Cross). It was a great opportunity for the varied stakeholders to present, compare and exchange their experiences. More particularly, the participants addressed the following questions: what is the current resettlement policy and practice in Europe and how can EU Members states do more and better? Do existing resettlement systems in Europe meet the needs of refugees, and what can be done to improve these systems? The KNOW RESET project Building Knowledge for a Concerted and Sustainable Approach to Refugee Resettlement in the EU and its Member States, co-funded by the European Union DG Home Affairs in the framework of the European Refugee Fund Community Actions 2010, is the first comprehensive project mapping and analysing the diversity of responses among the EU Member States to refugee resettlement. As a pioneer the project brings significant added value to knowledge in this field. The team involved in the project, gathering members of MPC/EUI’s and ECRE’s large networks, has proceeded to a systematic and comparative inventory. The inventory has included legal and policy frameworks and actual practices related to resettlement in the EU and its 27 Member States offering an updated information set. The main tool provided by KNOW RESET is its website, which is the first website mapping the EU’s involvement in refugee resettlement. It focuses on resettlement in the EU and covers the 27 Member States, involved in resettlement in one form or another, and to various degrees. It contains a unique database providing legal, administrative and policy documents, as well as statistics collected from national authorities by the project’s team. It also comprises a series of comparative tables and graphs and the country profiles for each of the 27 Member States. Besides, three countries of first asylum reports resulting from field research in Kenya, Pakistan and Tunisia have also been published on the website. This adds substantially to the knowledge and the assessment of the resettlement practices of refugees from countries of first asylum in the EU. Two EU Comparative reports and the Final Report of the Project will also be posted. This user-friendly website is a valuable instrument for comparing diverse frameworks, policies and practices within the EU, and for evaluating the EU’s resettlement capacity, while following the evolution of Member States’ commitment to resettlement and assessing the impact of the Joint EU Resettlement Programme. The publication of comparative data and the dissemination of research results have contributed to raising awareness about refugee resettlement and refugee protection in the EU. They provide too, a knowledge-tool for policy-makers, governmental and non-governmental stakeholders interested or involved in resettlement activities and policies in the EU and countries of first asylum. The MPC got a great deal of satisfaction from running this project and hopes that the new research inputs brought by the project will be of high value for all stakeholders in the resettlement field. The MPC carried out the scientific coordination of a study on Internally Displaced Persons (IDPs) following the Haitian earthquake of12 January 2010 within the framework of the ACP Observatory on Migration, and on the basis of the research requirements identified by the National Consultative Council (NCC) in Haiti. The detailed results of this study are presented in the report Quelles solutions après le séisme en Haïti: une enquête auprès des déplacés internes (avril 2012) (see MPC blog “Lessons from the earthquake in Haiti: A survey on the IDPs and on the resettled households”). In Haiti, more than three years after the earthquake, more than three hundred thousand people still live in the camps. The living conditions within these camps are very difficult, particularly for those who have been there for a long time. Setting up resettlement programmes is complex and they do not always respond to the needs of displaced households. The survey carried out in Pétion-Ville in April 2012 by the Bureau de Recherche en Informatique et Développement Economique et Social (BRIDES, Port-au-Prince) compares the living conditions of households in the camps with those families that have been resettled and those belonging to a control group. The study emphasizes the double process of pauperization and the selection of the poorest in the camps.The authors showed how resettlement leads to an improvement in the main socio-economic indicators. However, the study equally highlights how resettled families face increased expenses, in contrast with the other groups, with the risks of pauperization and expulsions once the financial aid, on which they have relied, is no longer available. Moreover, the study recalls that even outside the camps, households face severe problems of overcrowding and failing basic services. Based on these results, the authors of the report insist, in particular, on the need to close the camps, provided that the families concerned benefit from resettlement solutions and the large-scale development of resettlement programmes; in these resettlement programmes resettled families need to be systematically and regularly monitored. The ACP Observatory on Migration is an initiative of the ACP Secretariat, funded by the European Union and implemented by IOM with the financial support of Switzerland, IOM, the IOM Development Fund and UNFPA. The MPC is collaborating with Monash University Prato Centre, PIN University of Florence, and the Business School of Wenzhou University to organise the 6th Chinese in Prato & 4th Wenzhouese Diaspora Symposia, which will take place in Prato, Italy, on 29-30 October 2013. This year the theme is: Chinese migration, entrepreneurship and development in the new global economy. All information on the event is available here. The MPC will present on this occasion several papers written within the framework of its pilot project Chinese migration and economic relations with Europe. The working papers can be downloaded here. This event is co-financed by the European Union. The MPC and the Harvard Center for Middle Eastern Studies organised a joint workshop on “Arab Expatriates and Revolt in their Homeland”, 28 and 29 June 2013 at Harvard. The workshop explored linkages between Arab uprisings and emigration. Some contributions dealt with emigration and revolt as two of the three possible responses — together with silencing complaints— to oppression and mounting frustration. Others linked the two and looked at the direct or indirect role of expatriates, exiles and returnees in the revolts. A post-workshop publication is currently being prepared. The workshop was co-financed by the European Union through the MPC. For its IX year, the Migration Summer School (17-28 June 2013) explored the issue of integration and in particular how integration is negotiated between the sending and receiving countries. The students analysed, through a varied set of lectures and workshops, the interactions of the regions of origin and the regions of destination, migration policies and the regulation of migration, as well as processes of social cohesion. The IX Migration Summer School was co-funded by the European Union through the CARIM-East and the INTERACT projects.